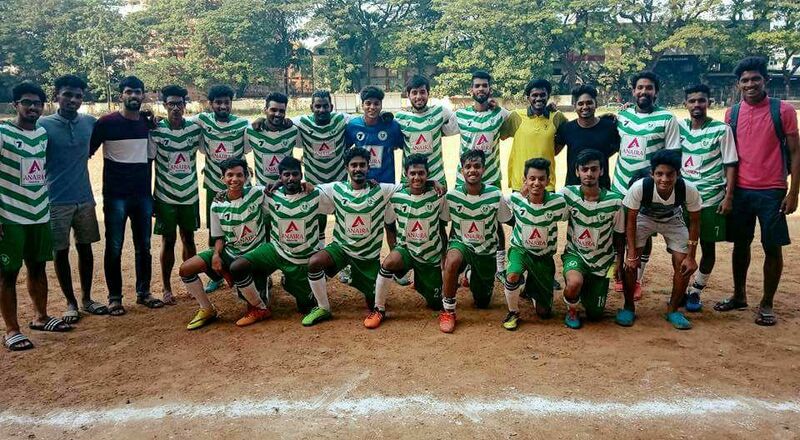 Mumbai, February 7, 2019: Shubham Verma ran like the wind in Skorost’s 3-1 win against Wellington Catholic Gym at the Neville D’Souza Ground on Thursday. Skorost trailed in the first half as Diptiman Prusty scored in the 2nd minute. They made it 1-1 thanks to Gaurav More’s beautiful flick in the 22nd minute. Wellington unleashed a series of attacks as Skorost relied on Verma’s pace to make in-roads. They almost got a second goal as he ran like lightning into the box and fumbled a long ball! He was a handful for Wellington as his pace had them in all sorts of trouble. Wellington deployed the off-side trap to negate Verma who was at the heart of Skorost’s attacks. Lionel Fernandes — the rock in Wellington’s back-line — hit his shots with the power of an ox! Skorost was not in the mood to give in as was evident by Kartik Kamat’s excellent sliding tackle. Wellington had more attempts on goal in the first half which finished at 1-1. Verma unlocked Wellington’s back-line as he raced like a tracer bullet and hit home a header in the 51st minute. 2-1 to Skorost and Wellington looked out of sorts! Nitesh Tandei’s shot went wide off the post as Wellington went forward in search of an equalizer. Akash Kareparembil hit home in the 93rd minute and wrapped up the game for Skorost. Also Read: Super sub Nagarkatti saves the day for Atlanta!